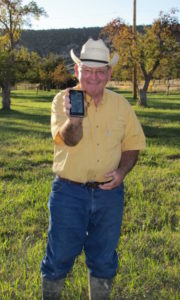 Newsletters Archives - AgTerra Technologies, Inc.
To help customers solve problems, both in the field and in the office. AgTerra was started in March 2003 by Alan Telck. The office was based out of an old sugar mill in Sheridan, Wyoming. AgTerra became an ESRI partner, paving the way for software and hardware collaboration with GIS data collection solutions. 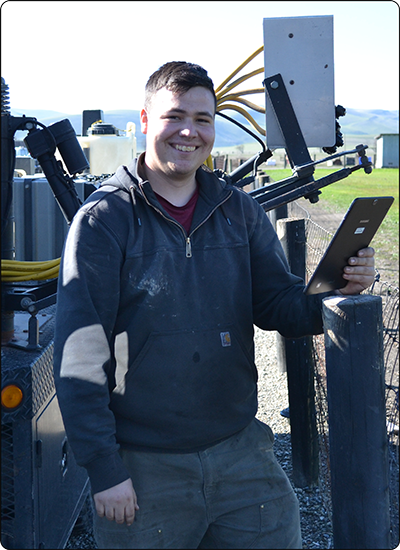 At the time, ArcPad devices were being used by AgTerra’s customers to collect spatial data for their AgTrac systems. Joe Campbell also came on the team in 2004 as one of AgTerra’s first full-time programmers. Joe is celebrating his 15-year work anniversary this year! 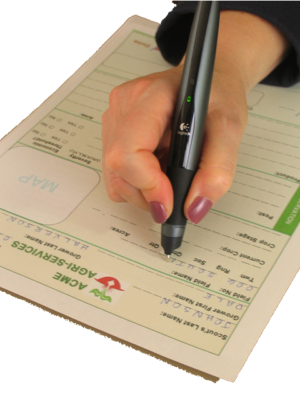 In early 2006, AgTerra introduced WriteTEQ as an innovative solution for customers to digitally preserve notes taken in the field. The WriteTEQ system consisted of a specially designed pen that recorded microdots on a paper form. At the end of the day, the pen was placed in a dock that transferred the data to a computer where the data then had to be verified before it was transferred to the user’s desired database system. Although the system performed well on many accounts, the verification process was time-intensive and ultimately led to the discontinuation of WriteTEQ in 2013. 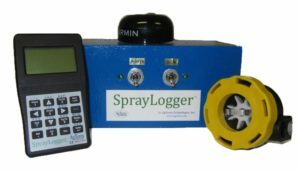 The original SprayLogger boxes read off of a turbine flow sensor and required a keypad for entering applicator, equipment, target and tank mix information. A data shuttle was used to transfer spray data between the box and a computer. It sounds like a lot of work to us now! GIS mapping software had made great strides over the years, however it was still quite cumbersome and complicated for field personnel. Taking feedback from customers and colleagues, AgTerra set out to develop a truly easy-to-use mapping solution. In 2012, MapItFast was born. The discontinuation of WriteTEQ led to the release of AgTerra’s new Strider Forms and Reporting system. Users could now fill out forms on a mobile device and send the data directly to a database. Strider was initially developed as a standalone product, but as more and more customers discovered the value of MapItFast, AgTerra realized that merging the mapping element with Strider forms would create a truly powerful field data collection system. Today, Strider and MapItFast provide the all-in-one package that customers have come to rely on for all of their spatial and tabular data collection needs. Original SprayLogger boxes used turbine flow sensors, which were prone to sticking and malfunctions. In 2013, AgTerra moved to electromagnetic flow sensors made by Sika, which not only eliminated sticking issues caused by the mechanical turbine but also resulted in more accurate flow readings. Electromagnetic flow sensors are still used with today’s SprayLogger boxes. AgTerra moved out of the sugar beet facility and into a new office building on Memorial Day 2015. The team is still enjoying their new “digs,” which are located within walking distance of historic downtown Sheridan, Wyoming. Actual view from Google Maps – logo added for authenticity! AgTerra introduced two new hardware products in 2017: SprayLogger Backpack and SnapMapper. The backpack version of SprayLogger was a small box designed to be carried with applicators doing spot spray work in the field. It was designed to track the low flow rates and smaller chemical amounts typically associated with backpack applications. SnapMapper was initially developed for use on harvest equipment, however due to its universal functionality, it was ultimately marketed as a quick and easy mapping solution for a wide array of applications. The SnapMapper product can map points and lines using a switch or trigger on any piece of equipment. 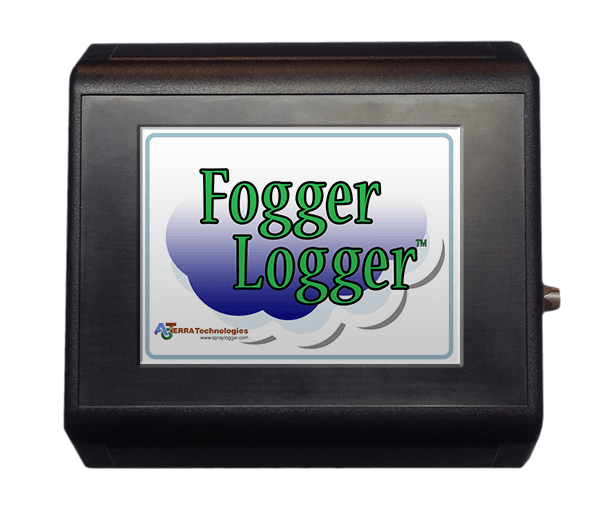 Last year saw tons of new developments in AgTerra’s software and hardware, including a FoggerLogger unit for mosquito abatement application, an easy online form builder for Strider and a new user interface for the SprayLogger website. AgTerra continues to work every day to create solutions for our customers. Here’s to another sixteen years! Alan Telck (far left) loves Christmas photos almost as much as he loves his coffee! Technology looked a lot different sixteen years ago. The Internet was still in its infancy, Facebook did not exist and mobile computers were primitive. When AgTerra Technologies started in 2003, the company’s primary product was AgTrac, a record-keeping application designed specifically for ag-based customers. Users relied on slow, clunky Windows Pocket PC and ArcPad devices to collect information in the field and data was uploaded through SD cards. 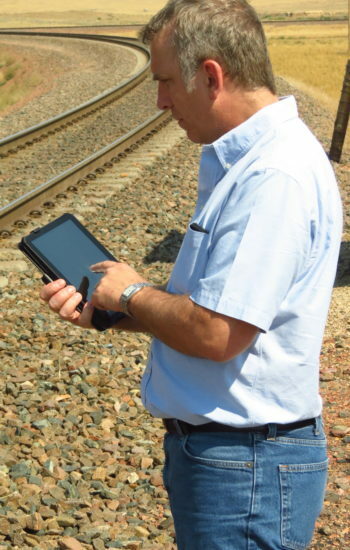 Tablets and smartphones have evolved significantly over the last ten years, however the concept gathering accurate data while users are on-site has not changed. AgTerra’s developments have always been guided by customer needs and experiences. It is why the company currently leads the way in simplifying mapping on mobile devices and eliminating the work and mistakes involved with uploading, accessing and collaborating with data. AgTerra’s SprayLogger hardware and software system has become recognized as the best pesticide record-keeping system available for pesticide applicators and vegetation managers. In the search for solutions to simplify field data collection, AgTerra came across a product that merged both traditional and futuristic data collection in what looked like a fairly ordinary pen. This pen marked the beginning of a data collection solution dubbed WriteTEQ. Specialized pens were used with paper forms printed with “microdots,” tiny dots indiscernible to the naked eye. Users would fill out forms and then place the pen in a dock at the end of the day where the data would be transferred to a computer. While exciting in concept, WriteTEQ posed some challenges for field users and office employees alike. The data transfer process did not always go smoothly and what data did come through required additional verification to ensure that all handwriting was accurately converted to digital format. These downfalls, paired with the expense of costly pens and fees involved with licensing, led to the eventual phasing out of WriteTEQ. WriteTEQ pens converted handwritten words to digital text. Field surveys and observations in agriculture and natural resources are nearly always associated to an object that can be mapped, such as a field boundary, roadway, or the location of a new weed. But electronic mapping can be data-intensive and difficult for many people to learn. Understanding its importance in the industry and the demand for easy-to-use tools, AgTerra began developing its own mapping software in the late 2000s and launched the release of MapItFast in 2012. MapItFast made it possible to use a single tap to GPS the locations of objects onto a map. At the same time, a better way to collect attributes or data on mapped objects to upload into databases was needed. WriteTEQ developments were re-purposed to mobile devices and Strider, the forms and reporting system customers know today, was born. AgTerra continues to develop these core products alongside the rapidly-changing landscape of mobile and cloud-based data collection. Developments include seamless data syncing across web and mobile devices, emailable and printable PDF reports, GIS and tabular data export options, REST API support for third party databases, and integrated datalogging hardware. For the field user, it all starts with “One Tap to Map”! Before long, AgTerra found its customer base growing from solely ag-based clients to other businesses and agencies working in the natural resource industry. Pesticide applicators found MapItFast particularly suitable for weed mapping but wondered if there might be any way to automate spray application mapping and records automated on spray rig operations. AgTerra’s developers accepted the challenge and introduced SprayLogger as a record-keeping system specifically for weed and pest applicators. SprayLogger uniquely combined hardware and software and gave pesticide applicators a way to simplify digital record-keeping and accountability for their yearly spray jobs. The early SprayLogger boxes were large and cumbersome to install; requiring several additional accessories to work correctly. 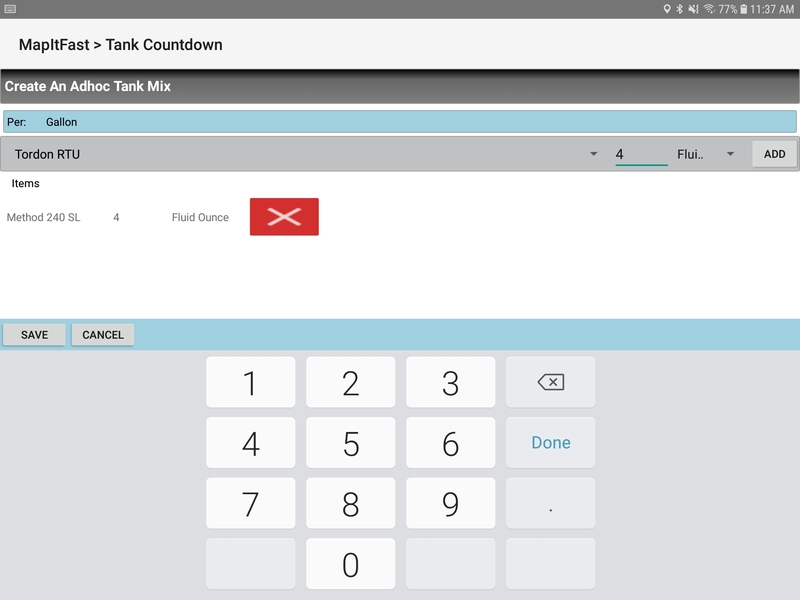 Applicators had to use a special keypad for entering applicator, tank mix and target pest information and a separate GPS unit to gather location data. When a spray job was completed, applicators used a “data shuttle” to manually transfer spray jobs to the computer. While the technology wasn’t perfect, weed and pest operations soon discovered SprayLogger added a whole new level of capability to their operations, reducing tedious record-keeping and allowing more time for spraying. “More Spray Time and Less Desk Time!” It didn’t take long for word to spread across Wyoming, neighboring states, and eventually across the US as well as Canada. Increased demand lead to improvements to the system. 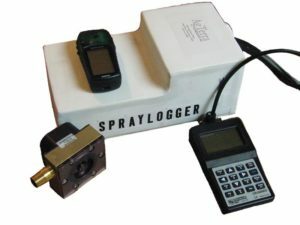 The SprayLogger system has had numerous improvements since it first made its debut in 2009. Some notable enhancements include the ability to automatically sync spray data to a cloud-based database, ability to map and record multiple booms, and a more streamlined box and integration with MapItFast and Strider. The full list of improvements is simply too long to list here! Check out all the features on on current E3B model. 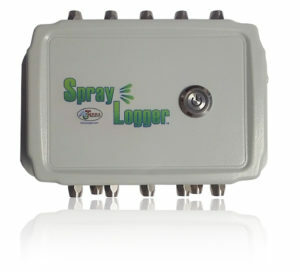 Today, SprayLogger works on any spray rig on the market today, from trucks, ATVs, hy-rail equipment and even backpacks. See this comparison chart for more information on SnapMapper, FoggerLogger, and Backpack Lite. From the beginning, our mission has been to provide our customers with powerful, affordable, efficient solutions for mapping and data collection while focusing on ease of use and delivering extraordinary customer service. None of this would have been possible without the relationship we have built with our customers and the feedback we receive. To all of our customers, thank you for working with us. We wouldn’t be where we are today without you. For those of you who are not yet part of the AgTerra story, give us a call. We can’t wait to hear from you. Click here to see AgTerra’s history in a timeline! AgTerra experts conducted online tutorials earlier this year covering the basic principles and best practices for MapItFast, Strider and SprayLogger. For those who missed the webinars, we’ve made the videos available below. If we missed a topic, look for it in the online help guides and let us know so we can make a note of covering it in the future. The MapItFast Basics webinar covered topics to help new users get going quickly. We also touched on the features of using specialized icons, forms and naming conventions as well as basic management of data on in the web mapping client. This webinar course will covered the basic SprayLogger topics that help administrators set up a new account and get applicators trained quickly on recording a spray job. Subject: Making the Black Hills Greener! Preheader: MapItFast for pine beetle control is making healthier forests. 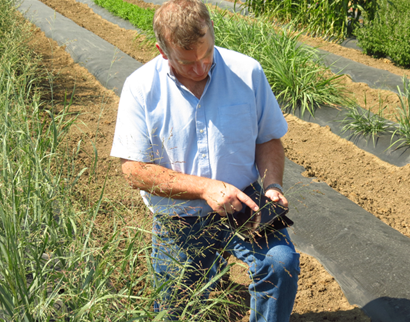 We at AgTerra are constantly impressed by the way customers use our products to help solve problems. This newsletter highlights the use of MapItFast to effectively monitor and control mountain pine beetle in the Black Hills of Wyoming. The green trees prove it! We’ll also get you up to speed on some of the latest and greatest product news. The success story coming out of the Black Hills of Wyoming regarding pine beetle control is nothing short of amazing. 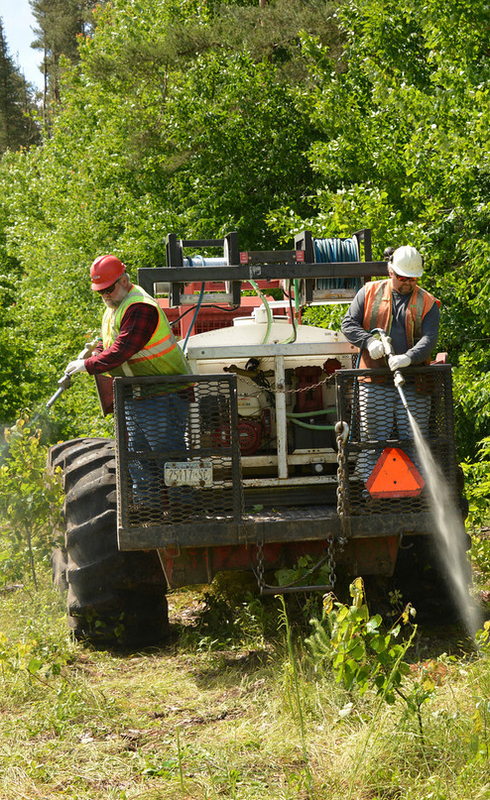 Using AgTerra’s MapItFast and Strider forms, contractors have mapped, recorded and removed thousands of infested trees. As a result of their efforts, it is becoming harder and harder to find beetle infested trees in a now-healthier forest. MapItFast continues to play an integral part in this ongoing project because contractors are able to conduct mapping activities on low cost devices with very little training or down time. All data is automatically synced to a centralized database so that project coordinators can better manage contracting activities, data analysis and project progress. AgTerra introduced its latest product, SnapMapper, less than a year ago and the product has already gained popularity for mapping and recording equipment operations. Used in combination with MapItFast, SnapMapper automatically creates map points and lines whenever a component on a piece of equipment is used. Visit our SnapMapper web page to learn more about how easy and affordable it is to start mapping, tracking, and reporting on any piece of equipment. call AgTerra today at 307-673-1050. Filling out forms in the field can be painful and time consuming, especially if you have repetitive data or you don’t have all of the required information on hand. Why not take advantage of the lookup function in Strider forms and reports? in the next section of the form. Forms are filled faster because there’s no need to remember or retype entries. You can find more information on the lookup tool in the Strider Forms and Reports help guide at help.agterra.com. Maps help us visualize data and tell stories about that data in an instant. When you look at a blue and red map of the United States, you immediately know which states voted Democrat and which voted Republican. Did you know you can build the same kind of map with MapItFast and have the colors of your point, line or polygon objects change according to an answer in a Strider form? With the active map trigger function, MapItFast enables users to set unique icons and colors for map objects based upon a changing value in an attached form. For instance, a point marking a work order location could be automatically changed from red to green as a technician completes the work order and updates a Strider form. 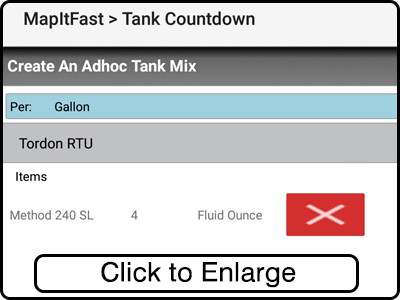 This icon change will allow crew supervisors to view and monitor work order status on the MapItFast web console or mobile device in real time. To learn more about the Active Trigger Map function, simply search for the word “Trigger” in the online help guide, or click here to contact us for a live demo. Watch for future newsletters to read about more exciting new features and product updates. AgTerra is always working to help you maintain a professional image and gain a competitive advantage. Call us today to learn more about the products or, even better, request a live web demo to see it in action for yourself. Ask for a free demo to learn more about our new products! Subject: The wait is over. MapItFast for iOS Released! Preheader: Use MapItFast on your iPhone and iPad today! MapItFast is Now Available on the App Store! AgTerra is proud to announce that its popular MapItFast product is available for free download on the App Store! Now, both Android and iOS users can turn their favorite smartphone or tablet into a mapping device. MapItFast for iPhone and iPad was designed to have a similar look and feel to the Android app. Users will notice the familiar point, line, polygon, and geophoto buttons for one-tap mapping, as well as the display for GPS accuracy, speed, altitude and map scale. The settings button can be used to load projects, change basemaps, and adjust app settings as needed. ‘Zoom to Location’ and layersets buttons are available as well. 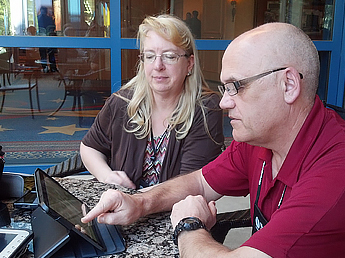 As with all of AgTerra’s products, MapItFast for iOS was designed to work offline, anywhere. 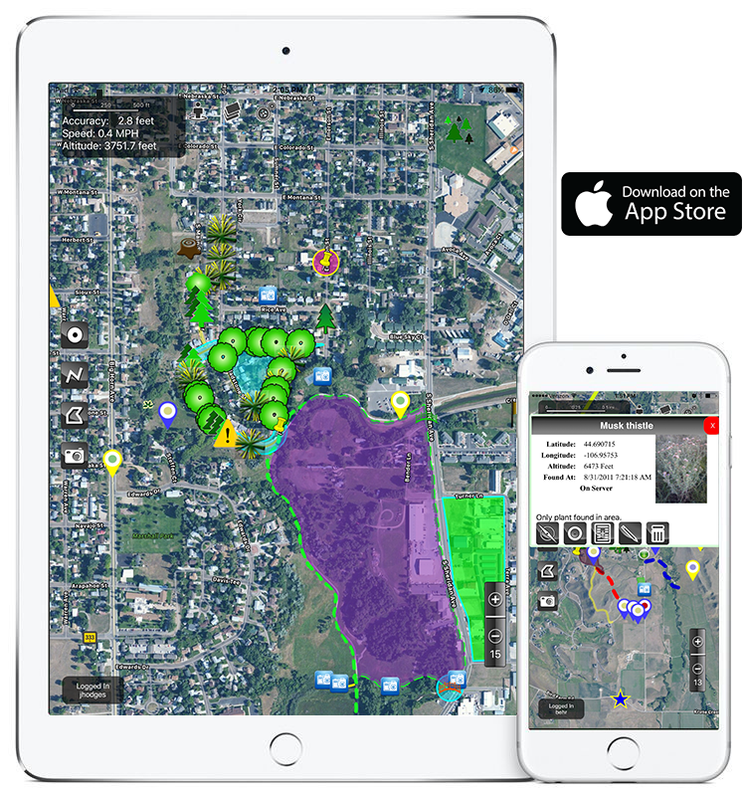 AgTerra encourages Apple users to download and try MapItFast for iPhone or iPad today. Our team is constantly working to improve our software, so feedback is appreciated. Please note that Strider Forms are not yet available on the iOS platform, but we expect to see this feature added in the near future. Stay tuned! There’s even more to MapItFast. Contact AgTerra today to discover how incredibly easy mapping and data collection is with MapItFast on both Android and Apple devices!